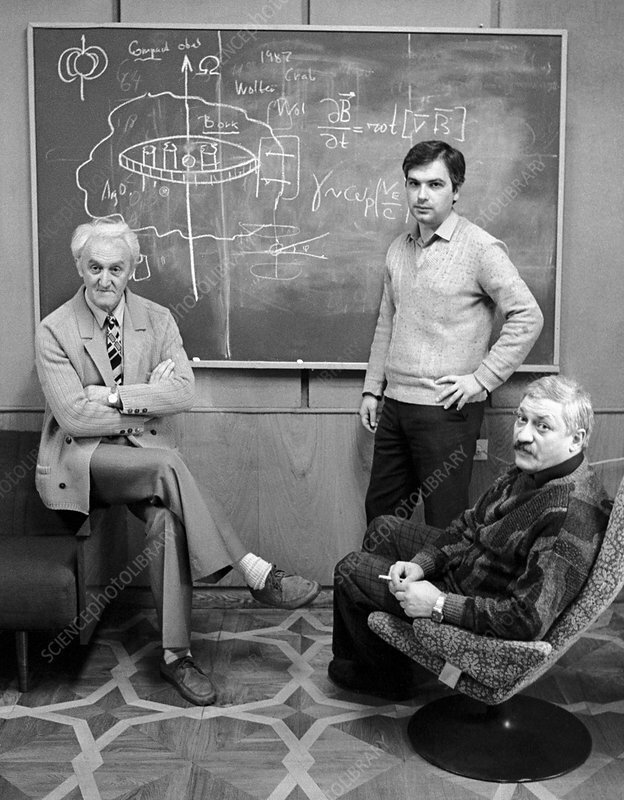 Georgian theoretical astrophysicists in a meeting room in front of a blackboard. From left to right: member of the Georgian Academy of Sciences Dzhumber Lomidze, research assistant Otar Chedia, and candidate of physico-mathematical sciences Elgudzha Tsikarishvili. Photographed in 1990, at the Abastumianskaya astrophysical observatory, Georgia.